Cup for Education provides educational infrastructures, materials, and resources to coffee growing communities. Through various partnerships with local leaders, educators, and organizations, Cup for Education seeks to improve the overall well-being of coffee farmers and their children through education. We believe education is the foundation for a better and brighter future for all the children in coffee communities around the world. Local, well-supplied, educational facilities are absolutely crucial to rural coffee communities. The time and money needed to travel to nearby towns and larger cities in order to learn are simply unavailable, and poor infrastructure in many of these remote areas make it very difficult to do so. When education is not easily accessed, it leads to frustration and a continued cycle of illiteracy. When education is close to home, both farmers and their children benefit economically and socially. Since 2003, Cup for Education has completed a series of diverse projects that target each community’s specific needs. Whether it is building latrines in Kenya, supporting women’s literacy projects in Papua New Guinea, providing new desks for children in Nicaragua, or providing materials and funding for library support in various parts of Guatemala to promote reading and literacy; Cup for Education values all aspects of the educational experience and aims to improve whatever the community feels is most urgent or necessary. One of our most recent success stories is Juana Rosa, from Nicaragua. Juana was chosen to receive a three-year long scholarship to attend the La Bastille Technical Agricultural School in Jinotega, Nicaragua. This school is based on a coffee estate, in an area where only 20% of young people currently attend secondary school. Along with providing an academic education, the school also teaches a technical diploma in agro-business and runs seven school businesses. The businesses include chicken and egg production, as well as a dairy plant, pigs, a vegetable garden, and an Ecolodge & restaurant where it is possible to hike and birdwatch. Graduates from the school leave with an education, job offers, and financial skills to support their families. The scholarship money paid for her tuition, books, and dormitory expenses. We are proud to say that Juana was one of the top students in her class, making a speech at the graduation ceremony. Upon graduation this past December 2014, Juana received a job working in Costa Rica for Coffee Source, renown coffee growers and now importers/exporters for the past 15 years. One of her first responsibilities was working as a cupping assistant at the Costa Rican Cup of Excellence. Furthermore, Cup has already selected another worthy student from the region to receive a scholarship to the school for the next three years. 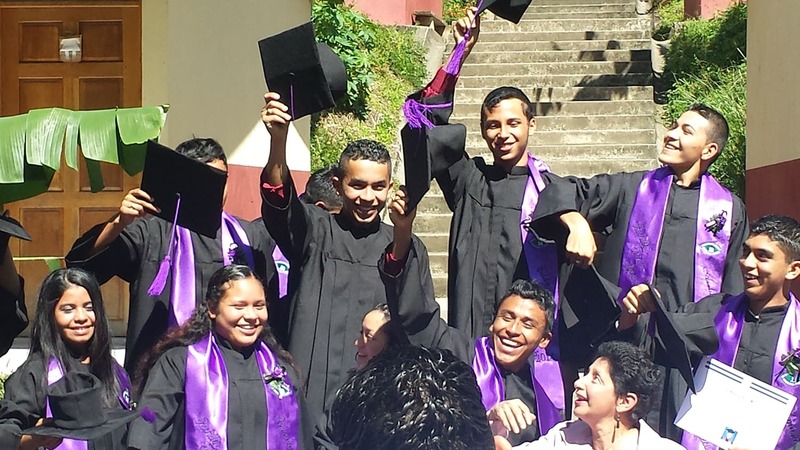 The student was selected from among a list of many worthy candidates from the coffee area in Jinotega, and it is our hope to be able to support more than one student someday. The school is one of the best opportunities for these children in the coffee regions of Nicaragua to achieve skills and education that will allow them to break the cycle of poverty that is so prevalent among coffee farmers. 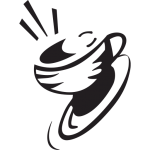 Ultimately, Cup for Education strives to augment the quality of life and education in coffee-growing regions. This begins with education. Literate and well-educated children will improve their lives, those of their families, and ultimately, their coffees. One of the best ways to help Cup for Education is to sign up for e-mail updates, “like” us on face book for the most up-to-date pictures from projects, and share our mission with friends and family. Of course, we welcome donations in the form of money or materials. Most of us involved with Cup for Education work in coffee and travel to these communities quite frequently throughout the year on business. Often we bring books and school supplies for schools located in and around these communities. We recommend these books be in Spanish, or bi-lingual.